India is an enormous country that offers one of the world’s most diverse populations. It has a thriving economy and a nearly endless array of natural wonders. It’s not hard to see why millions of people want to visit the country for fun, for work, or for study. That means they need visas to enter the country. Citizens of the United States who are planning to visit India will need to apply for a tourist visa. The default length of a standard visa is six months, but longer stays are possible in specific circumstances. Unless you’re investigating one of these unique situations, assume that your visa is going to expire six months after it’s granted. Pay attention to this date and mark it on your calendar. Overstaying an Indian visa can land you in serious trouble. While there is a great deal of helpful information on the Indian visa application process available online, the many requirements you need to comply with can sometimes become confusing. Take particular note of where and when original documents are required during the process. In certain circumstances, copies will be sufficient, but in other cases, the genuine original is required. Failing to provide the proper documentation when and where it’s required can delay your application process significantly. Before you receive your visa, you’ll need to complete an interview. You need to bring all of your documentation with you to this meeting. The key supporting documents you’ll have to have along are your US passport and a national ID or birth certificate for identification purposes. Remember that the standard Indian visa application applies to individuals only. 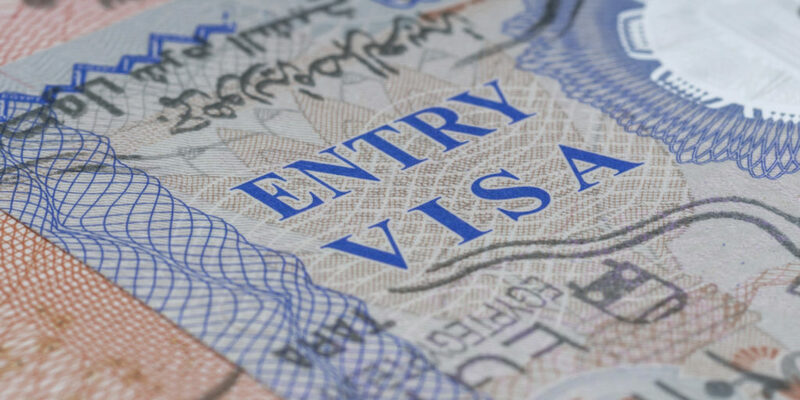 The process to secure visas for an organization or business is entirely different. When you are applying for an Indian e-tourist visa (also known as an eTV), the opportunity to pay your application fees online is supposed to be a convenience. Be aware that you must use a valid form of payment to pay this fee, as the system will only allow three payment attempts. If you cannot complete your payment successfully (e.g. because your credit card is declined), your application account will be blocked after the third payment failure. If you find yourself in this situation, your only option is to start the application process all over again to receive a new application ID. If you complete the eTV application process successfully, your biometric details will be collected when you arrive at the port to pick up your visa. You can also start the visa process by visiting your nearest Indian embassy or consulate. While you can pick up the necessary application forms there, you cannot fill them out by hand. It’s faster and easier to download the necessary forms from the website of the Indian government and fill it out correctly. You can then deliver the completed form to the embassy or consulate. A completed application process will give you a visa which you can use to travel to India. Keep in mind that any discrepancies between your visa and your other documentation may lead to you being refused entrance at the border.